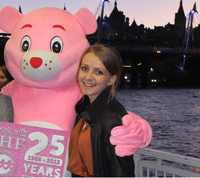 As part of our #UCLInspireMe series,Tara Protheroe, Graduate Trainee (Fundraising & Marketing) at Cancer Research UK, talks to us about how she decided to undertake a career in the Charity sector. Firstly, here’s a little contextual info about me. I’m 23, I went to the University of York, and I graduated in 2012 with a 2:1 in English Literature. Finding my first job was initially challenging; although I had a CV full of skills, university positions and part-time jobs, I lacked a professional internship or in-office work experience. So, how did I get into my role? I’d always thought I’d like to get into marketing and applied to multiple jobs in my 3rd year with little success. My lack of office experience was holding me back, so I started looking for internships. I didn’t actively seek a charity role, but came across Cancer Research UK and was impressed by the variety of internships available. I secured a role in Innovation Marketing, working on the Dryathlon campaign. After 3 months at CRUK I knew I wanted to stay; the work was stimulating and I was truly passionate about the cause. There weren’t any permanent roles available so I (successfully) applied for the graduate scheme. What are the best things about working in my role? I’d say the best thing about the CRUK Grad Scheme is the variety and the quality of the work we’re given. We stay in each department for six months and work on an independent project. Where we go is partly dependent on business need, but there’s a lot of scope for us to choose roles based on our preferences. The responsibility we’re afforded is also a real benefit. The organisational culture is fantastic. We’re frequently reminded of our core purpose in our daily work and surroundings. What are the biggest challenges I face in my work? Changing projects every six months makes the work more interesting, but also allows you less time to settle in and excel. Similarly, the responsibility and autonomy I am provided with makes it imperative that I motivate and organise myself effectively, which can be tough. The size of the organisation can also be a challenge; there are so many different departments it can be difficult to keep track of and work effectively with all of your stakeholders. Start early! Think about what you want out of a career in your first year and try to gain relevant experience. But if you haven’t, don’t despair, there’s still plenty you can do. 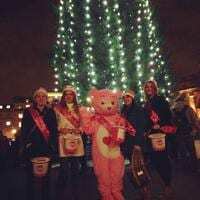 If you want to work for a charity, think of the type of role you’re interested in – marketing, finance, etc., and look for work experience in those areas. You don’t have to have charity experience to work for a charity; it’s the transferable skills that are important. If you’re working full time or an internship isn’t possible, there are still ways you can volunteer your time and gain skills in the process. If you’re interested in events, consider organising a fundraising event yourself, such as Relay for Life. If media or communications are your thing, write a blog, or approach a smaller charity and see if you can help them with their publications in your spare time. The most important factor for any role, but particularly this sector, is passion. Would I have got the job had I not done an internship? I don’t believe I would – without it I wouldn’t have had the requisite passion, knowledge and confidence to impress at interview. If you’re interested in a career in the Charity sector, visit Careers Tagged and find over 400 resources to get you started. 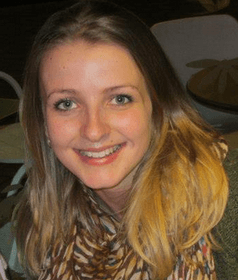 As part of our #UCLInspireMe series, Joni Browne, Research Officer at the Institute for Volunteering Research (IVR) part of the National Council for Voluntary Organisations (NCVO) talks to us about how she got this role and shares some tips for UCL students who want to get into the Research sector. After five years of frenzied trial and error in other roles, I worked out that I needed a job which was varied, required a mix of interpersonal, academic and analytical skills, and had a structured career path. Research was particularly appealing because it has the power to influence and shape an organisation’s policies and strategies. I got my foot in the door by applying for a graduate role at a market research agency called IFF Research where I quickly gained exposure to different research methodologies across a variety of sectors. I then moved into health-related researcher/analyst roles in the NHS, Ipsos MORI and Capita. Last year I took up my current position as a Research Officer at the Institute for Volunteering Research (IVR), where I spend most of my time evaluating volunteering programmes for voluntary organisations. If variety is the spice of life, then research is Spiceworld. I’m involved in qualitative and quantitative research, so tasks I might carry out include designing questionnaires, conducting interviews, analysing data and presenting findings. There are periods where I might be out doing fieldwork, talking to volunteers or staff at voluntary organisations, and then other times I might be by myself agonising over some data, what they mean and how to best explain them in a report. No two projects are ever the same, and each comes with its own challenges so it’s always stimulating and I’m always learning. I’m fortunate enough to work with extremely bright, thoughtful, supportive people that I like and learn from. We can debate serious matters such as research ethics one moment, and have in-depth discussions about ‘MasterChef’ or croissants the next – all with equal fervour. If I’m working on a stressful or difficult project, having good colleagues around takes the edge off it. Job security can be an issue depending on how the research role is funded and whether it’s agency-side or client-side/in-house. Fixed-term rather than permanent contracts are the norm for some roles given that many organisations (especially in the voluntary sector) are seeing their research budgets squeezed. The hours of work can sometimes be unsociable if you have to travel for fieldwork. Finally, it’s worth noting that if you want to make millions, retire at 40 and sip piña coladas on your own private beach, research isn’t the area to get into. I don’t think the pay ever truly reflects the effort and range of skills required to do the job well. It’s worth identifying organisations you would like to do research for, checking out their website and sending them your CV on spec. Other channels you might use to find graduate schemes and research jobs include CharityJob, Jobs.ac.uk, Guardian Jobs, and Milkround. If you’re interested in a career in the Market Research sector, visit Careers Tagged. As part of our #UCLInspireMe series, Claire Lilley Head, Head of Child Safety Online, NSPCC talks to us about how she got his role and shares some tips for UCL students who want to get into the Charity sector. 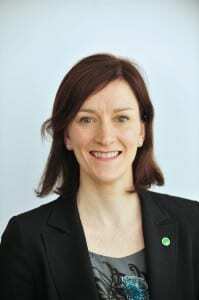 I am Head of Online Safety at the NSPCC. I started my working life as a secondary teacher (which I loved) but after 4 years decided I wanted to see what other jobs existed beyond the world of education. I resigned from teaching with no job to go to, but knowing I could supply teach if necessary to make ends meet. I had to bite the bullet and take a big pay cut, but was lucky enough to get a job as a researcher for Which? Magazine which I did for 4 years, during which time I did a part time Masters in Public Policy and Management. This meant I could apply for a policy role at Which?, working on education and health policy (Which? is a consumer charity as well as a magazine). However, I’d always felt passionate about working with or on behalf of vulnerable children, so after a couple of years started looking around for jobs in children’s charities. I didn’t have any experience of policy related to child protection, which was a real disadvantage, but at one interview was offered a maternity cover role. It was a risk to leave a steady job at Which? for a short term contract at the NSPCC but it paid off because at the end of the maternity cover I was offered a full time job, and have been at the NSPCC in a variety of roles ever since. I love my job because it is so varied. My brief covers all aspects of child safety online including child abuse images, online grooming, cyberbullying, sexting and access to inappropriate content online. I am responsible for the policy (the ‘what the NSPCC thinks’) on all these issues, as well as for coordinating the NSPCC’s programme of activities in relation to them – the projects we get involved in , the services we provide, the research we commission, the organisations we partner with, the way we work with ChildLine (our sister brand), the information we provide for parents and professionals working with children. The ultimate aim is to keep children safe when they are using the internet. The sorts of things I have to do include: writing detailed policy briefings; advising our CEO and Trustees on our position on different issues; meeting with other charities to try to come up with innovative solutions; influencing technology companies; briefing MPs and civil servants; giving presentations at conferences, meeting with children, parents and professionals to get their views, commissioning research, giving media interviews and lots more! I learn something new every day, which I love, have a lot of autonomy to make decisions, and work with a really dedicated and supportive team of people. And of course, the chance to make a difference to children’s lives is a big driver in my job satisfaction. Change doesn’t happen quickly though, and sometimes it is frustrating that the things you know will help to make a difference take so long to get off the ground. A challenge in my job is staying focused on the activities that will have the biggest impact on children’s safety. When you work for a big charity like the NSPCC, lots of people want to get your opinion about e.g. the latest app they have developed, and it can be easy to get distracted from your main goals or projects by all the interesting new things happening in the fast moving technology sector. My tips for working in the public policy sector are to be flexible and take a few calculated risks at the early stages of your career. Try to get experience of the different elements which you’ll need later on as you move into more strategic positions – policy, research, public affairs, and if possible some service user experience. Don’t intern for too long and don’t hold out for the ideal first job – it’s easier to get a job when you are in an organisation as lots of jobs are only advertised internally, so don’t think you’re too qualified to take a PA job at first! Consider a Masters degree as these are increasingly necessary, and try to identify an area of policy that you are passionate about and can develop a golden thread about throughout your career. In my case it is children’s issues, but it might be animals, environmental, medical related, housing etc. Social enterprises are profit-driven businesses with social and environmental aims. Some of the best known social enterprises include household names like the Big Issue, Divine Chocolate and John Lewis. Have you ever had an idea for a business that could have a positive impact on your community or the wider world? Lindsey Shirah, Projects Coordinator at Queen Mary Careers & Enterprise Centre, had a chat with James Larbi, an Aerospace Engineering undergrad at Queen Mary University of London who started his own social enterprise, Pre-ued, during his second year. Below James shares how he developed his idea and the most important lessons he’s learned along the way. What is your social enterprise and how does it work? JL: Pre-ued is an educational technology venture that partners with schools to make their courses publicly available online. We help top institutions take their mission from the walls of the classroom to the world by giving them an online platform where they can exponentially reach more students, raise their international reputation and boost admissions. Students in turn from around the world can study the best high school, secondary and pre-university courses for free. JL: It was in the summer of 2013. I had finished my 1st year of university and had just come back from travelling abroad. With a lot of time on my hands I thought it would be great to start a social enterprise/start-up and considered doing something relating to learning and technology. I had been drawn for a while to the idea of open education for everyone. This was partly due to a gap year I spent in Ghana, West Africa, where I worked with top academics making their research publicly available online. Some really phenomenal strides had already been made publishing university courses. There was however no one at the time doing the same for secondary schools so I wanted to pursue that idea. I ran the idea past my business module course lecturer, Adam, for feedback and was delighted to hear his positive response and advice on developing it. Adam also taught me about the “Innovator’s Dilemma”, which is a state of mind that every entrepreneur or innovator can get stuck in that potentially blinds them to the flaws of their idea. Through talking to Adam I learned there are many phenomenal lecturers and staff members at university who will gladly help you develop your ideas. I also spoke with the phenomenal team at the Queen Mary Careers & Enterprise Centre who are really passionate and informative about social enterprises and start-ups in general. Rachel, James and Maya, part of the core enterprise team, have been so supportive of my idea and me as a whole. How have you gone about setting up your social enterprise? After I had a basic prototype I needed to get some users. The users are primarily any student that would like to study a top course for free, but I had no courses to offer from schools at the time! This was a classic case of the “chicken and egg” story. I decided to start out by introducing the idea to schools and teachers. In order to get access to them I signed up to be an exhibitor in the Innovation Zone at the BETT Show 2014, the largest learning technology show in the world. Sharing the floor with some of the biggest names in technology was a great privilege. I got to meet some of the best teachers, schools and innovators in the world and was able to form some partnerships throughout the course of the show. What have you found to be most challenging about this project? JL: The most challenging thing about the project has been accessing the funds to really scale up the venture. This is however not insurmountable now, with the numerous types of support from organizations such as Unltd who are passionate about social change and empowering social entrepreneurs to make a difference in the world. The explosion of crowd-funding also gives entrepreneurs the opportunity to raise small amounts of cash from your friends, family and the wider society who may receive either thank-you-s, rewards and in some cases, a stake in your social venture. What have you found to be most enjoyable? JL: The most enjoyable thing about this project is seeing someone who you don’t know from a completely different part of the world sign up to your platform. It’s so fulfilling to hear about the impact you can have on people in regards to enabling them to learn. What are the most important lessons that you’ve learned from setting up a social enterprise? JL: Always read through an entire document before you sign it! We all skim past the small print of a web page or document and just tick “I agree” or sign at the bottom of the page. But when setting up a social enterprise, it’s always really important to make sure you know what you’re getting into when you sign a document; whether it’s for engaging partners or buying anything, always read the small print. What would your advice be to another student interested in starting their own social enterprise? JL: Don’t be afraid to get your feet wet! Research and preparation are really important when starting any kind of venture, but at some point you have to just try out your idea and see what happens. You can learn a lot from the initial experience of getting out there. Also it’s best to do something you’re passionate about, because when you are working long hours, facing set-backs and hearing lots of “no’s” from users, partners and possible investors, your love for what you do is what is going to keep you motivated. Where/how can readers find more information about your social enterprise? Want to get a job in a SME but have no idea where to start? We collected a few different case studies of how students at UCL have got into SMEs. For further help with getting work with an SME, pop in to see us at UCL Careers or sign up to UCL Talent Bank. So you’ve decided to apply for that position at a Charity/NGO, but you’re stuck, blankly staring at your CV, not knowing how to best get across your experience or even if it will make the cut. You’ve got this nagging stat in the back of your head, that on average less than 10% of CVs make it through the first stage of the recruitment process. Make sure it’s no longer than 2-sides and know that the first half of your CV is key – it is what the recruiter will look at first and if they aren’t intrigued to read further, they won’t! Note: Some employers such as the UN might take a longer CV, so check and do your research before hand especially on the position you are applying for. Read the person specification and tailor your CV against the competencies they are looking for. Most recruiters score CVs against a criterion and if you haven’t clearly labelled or demonstrated those competencies, your application won’t go any further. For example, if you are applying for a researcher role, make sure your research section has enough of the core competencies matched so you are ticking all their initial boxes. A recruiter only spends on average 7 – 30 seconds looking at each application initially. Make sure you have a powerful punch at first glance. Get some friends to review or even get your application checked by your careers service. Make sure it is a consistent format and if possible send it across in a PDF format – it doesn’t lose its formatting. Get someone to triple check for spelling and grammar mistakes! Once you’ve broken these down, finding examples are easier than you think. Enhancing your knowledge of cultures – you can do all of this without even leaving the country! Once you’re confident that you can nail your CV, come in and get it checked by an applications advisor who can give you more specific tips against the person specification and job description. Want big responsibility in a fast-paced environment? The Charity sector could be a hidden gem! 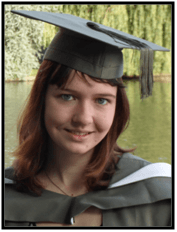 I am a recent graduate, and I am working two jobs to fund an expensive habit; unpaid internships at small charities. It’s not always a glamorous life; I generally work a 6 day week, hibernating on Sundays. I am also occasionally still found in the queue for free curry at SOAS to save some pennies. On the other hand, last week, on the second day of my internship at the Children’s Heart Federation, I was greeted at our small Shoreditch office with “Do you want to come and do some lobbying at Parliament?” Next thing I knew I was walking the halls of Westminster, having tea with an MP, looking out onto the Thames. The experience I am getting at this charity is one I would quite frankly pay for. I am now second in command on a campaign which has recently featured on the One Show, Radio Four and BBC Breakfast. On my first day, I was knocking up press releases to be sent out to newspapers nationwide. Not only am I gaining skills that make me more employable, but I get the biggest buzz out of the working on a cause that I really think is valuable. When I am not getting my fix at the charity, I work as an Applications Adviser at a major London University. The majority of students who come through the door want to work in banking and finance, management consultancy, and pharmaceutical companies; big business, big competition, big salary. There are numerous reasons why students decide to go down this route, but each candidate looks for something to give an edge to their application forms. One of these I have been seeing recently is students saying that they are drawn to the social responsibility initiative which some employers are promoting. Some banks, for example, give their employees time off the volunteer for their communities, which some students seem to find attractive. As a graduate looking to “break in” to the Charity/Not-For-Profit sector, a part of me always wants to ask (but doesn’t): why not work in a sector whose business is social responsibility? Why not seek opportunity in organisations whose “triple bottom line” has always been their bottom line? One major reason is money. A recent TedTalk by activist and fundraiser Dan Pallotta noted that a CEO of a Hunger charity can expect a salary of over $316,000 less than a Stanford MBA (that’s nearly £200,000). Pallotta also observes “We have a visceral reaction to the idea that anyone would make very much money helping other people. Interesting that we don’t have a visceral reaction to the notion that people would make a lot of money not helping people.” Yet not a single student that I have spoken to has said to me “I want to work for X bank/consultancy firm because they pay more than the others.” Most of the students I see are ambitious, diligent and want to work in these sectors because they want a big career and big challenges, (perhaps as well as a big pay cheque). Clearly, as someone who, for whatever reason, wants to be a full-time do-gooder, I struggle slightly to understand the will to work in the profit driven cultures of private sector corporations. What I do understand, however, is how it feels to do a job that I am passionate about, and that I get a genuine buzz out of. Therefore I completely respect the fact that there are people in the world, who get geeky at the thought of stocks and figures, risk analysis, and financial instruments. So if you are one of them then I wish you all the best. But if it is just that you’re looking for a job which is about meeting targets, assessing risk, problem solving and big responsibility in a fast-paced and challenging environment, and you want a career with meaning that gives back to your society and your community, then I can tell you the Charity/Not-For-Profit sector will tick every one of those boxes. This blog post was orginially posted 29th October 2013.